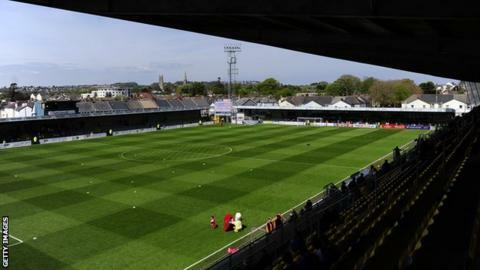 Torquay United have re-started takeover talks after a prospective buyer pulled out of negotiations. The Conference club are looking for a new owner after Thea Bristow stepped down as chairwoman. "Talks with other interested parties have already reopened," Gulls director Bill Phillips said in a statement on the club's website. "There's also room for fresh bidders to enter the fray, and we invite people to contact the club." Former Oxford chairman Kelvin Thomas is continuing to help the club, but is unable to stay in the Torbay area. "Many of you will have seen media reports and quotes over the last fortnight suggesting the unveiling of new owners was imminent. "While this was true at the time, the fragile nature of such negotiations dictated our reluctance to publish such reports until the deal was signed and sealed," added Phillips. "It has been a time of painful uncertainty for everyone connected to Torquay United and the criticism of poor communication has been levelled at the club. "This is something we accept and apologise for, although there have been circumstances beyond our control."